With Singapore’s National Day looming close, many food chains have been creating different kinds of patriotic-themed food and drinks. So, sushi chain Maki-san decided to jump on the bandwagon too! Last Friday, Maki-san revealed a National Day-themed sushi called “Maki Kita” which is a play on Singapore’s national song, “Mari Kita”. In Japanese, “maki” is a type of Japanese sushi roll, so the translation of the sushi literally means, “our sushi” – at least that’s what Maki-san intended it to be. But since not everyone in Singapore understands Japanese, many people have mistaken the tagline as “curse us” as “maki” in the Malay language means “curse” or “insult”. “Maki, in our latest campaign Maki Kita, translates to our famed sushi rolls. 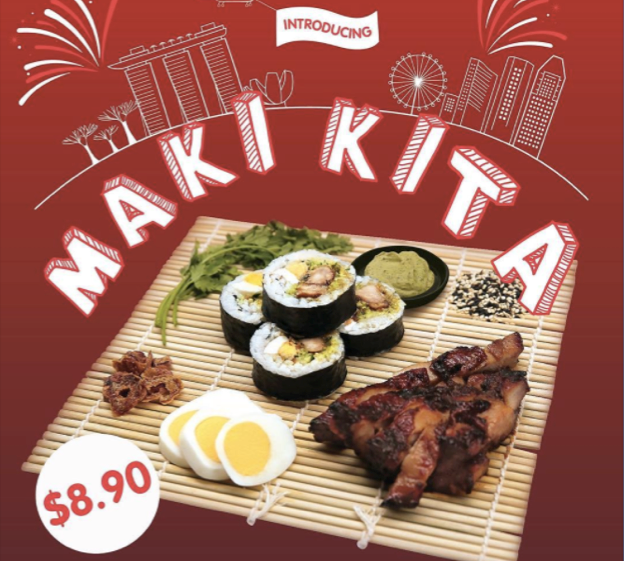 Reflecting the cheeky and playful side of Maki-San, the name ’Maki Kita’ means ‘Our Sushi’ and is a tongue-in-cheek take on the first two words of the national anthem,” a spokesperson told Yahoo Lifestyle Singapore. “We do not wish to bring negativity any time. If you find the campaign offensive, we ask our sincerest apology. Trust that we mean well. We wish you a good celebration of our National Day,” the spokesperson continued. But despite the explanation, people are still not buying it. 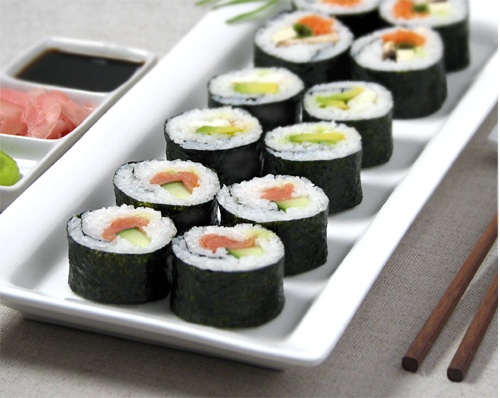 So to make it a win-win situation, Maki-san has decided to change the name of the sushi to “Harmony Maki” instead. “We do acknowledge the diversity of culture of our consumers and the people living in Singapore. We listened to the pulse and insights driven from our valued consumers,” Maki-san posted on its Facebook. 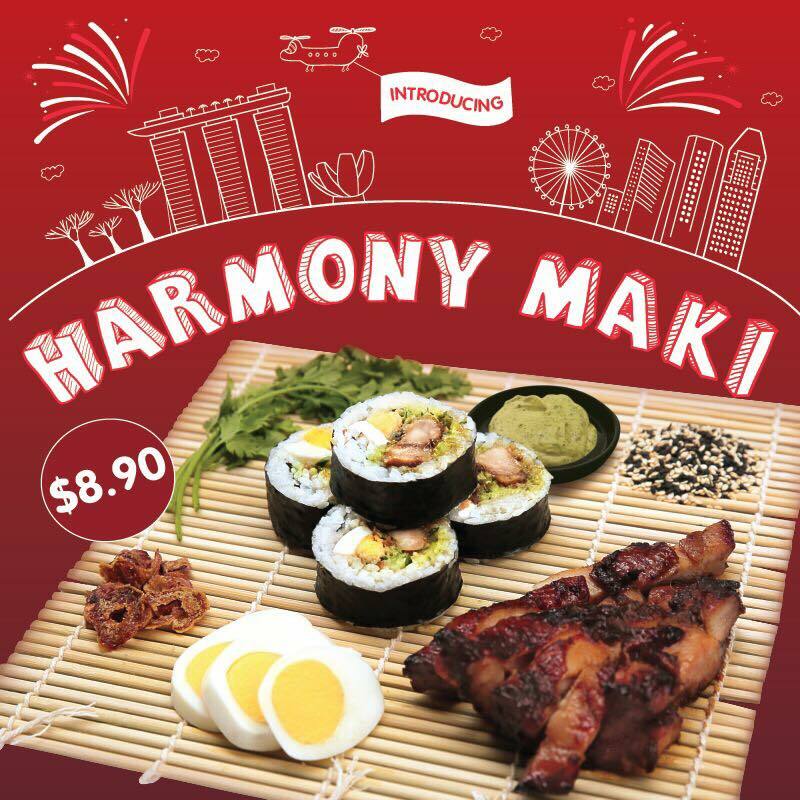 Priced at SGD8.90, the new “Harmony Maki” contains chicken char siew, boiled egg, shredded cucumber, fried shallots, roasted sesame seeds, Japanese white rice and coriander mayo sauce. The sushi is available at eleven outlets until 31 August 2017.